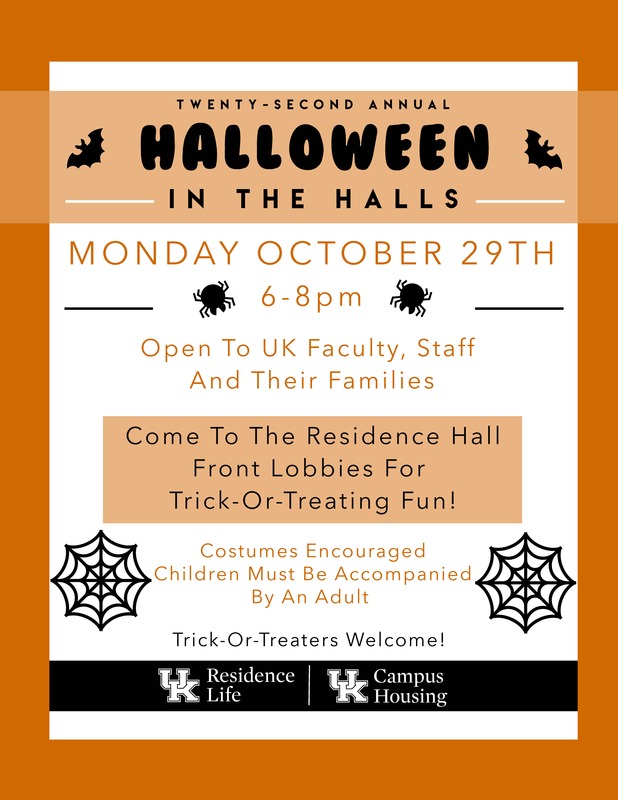 LEXINGTON, Ky. (Oct. 26, 2018) — University of Kentucky faculty and staff’s little ones can get a head start on Halloween trick-or-treating 6-8 p.m. Monday, Oct. 29, at Halloween in the Halls. 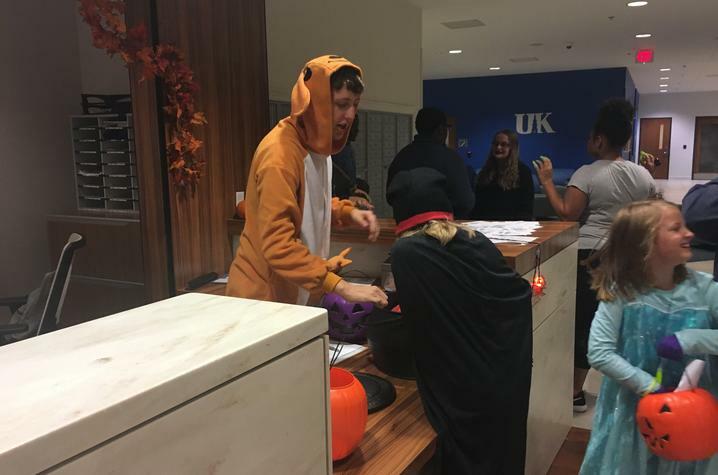 For the 22nd year, campus residence halls will open their front lobbies this Halloween season to the children and grandchildren of UK faculty and staff. Children 12 years and younger only should come dressed in their trick-or-treating costumes. Adult supervision is required. 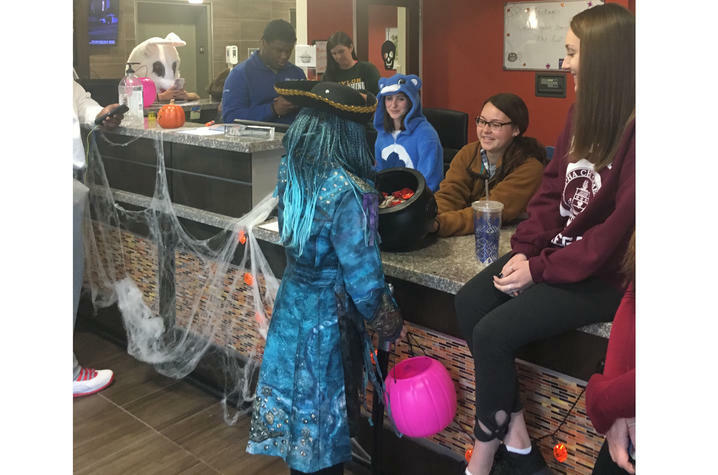 Trick-or-treating will take place on North and Central Campus this year. On North Campus, Jewell, Blazer and Boyd halls will participate. On Central Campus, Haggin, Donovan, Johnson, Lewis, Baldwin, Chellgren and Woodland Glen I, II, III, IV and V will participate. All halls will have signs on their front doors welcoming trick-or-treaters to the buildings. For the Central Campus halls, employees with a valid E parking pass can park in the Sports Center lot next to the baseball stadium. For North Campus halls, employees with a valid E parking pass can park in the lot behind Memorial Coliseum. For additional parking options, please check the UK Transportation Services website: www.uky.edu/transportation/parking-info_parking-maps. For more event information, please contact Lisa Lockman in Residence Life at lisa.lockman@uky.edu.